Is there a way to stop the gmail address field (on the login page) from displaying all the gmail addresses that you have ever typed in it? When logging in with Google Chrome or trying to set up a new account, anything you type which starts with the same letter as the one that you are trying to use currently will show up in the auto-complete field, I don't want that. I understand that this is a convenient feature in some cases, but the thing is--I know this shouldn't've happened, but it has actually happened more than once--I sometimes mistyped my password in the Gmail address field right after the address, mistakingly assuming that the prompt had already been moved to the password field, and then hit "Enter" without looking first. The next time I tried to enter my Gmail address, it popped up the address followed by my password as one of the entries on the list of email addresses that shows up, and I couldn't get rid of the entry. Is there a way to remove these? The autofill feature in Chrome is a time saver, and so I don't really want to turn it off. It would be helpful to be able to edit out some of the typed info, though, so it won't show up again -- is this possible to do? Press ↓ on your keyboard, a list of all of the "remembered" entries should appear. Using ↑ & ↓ highlight an entry you would like to delete. Press delete. (Note that you may need to use shift+delete, fn+delete, ctrl+delete (Ubuntu) in some instances, like if the remembered entry is in the address / URL bar). Repeat steps 2-4 until satisfied. To clear login entries for a username/password combination, see another answer. 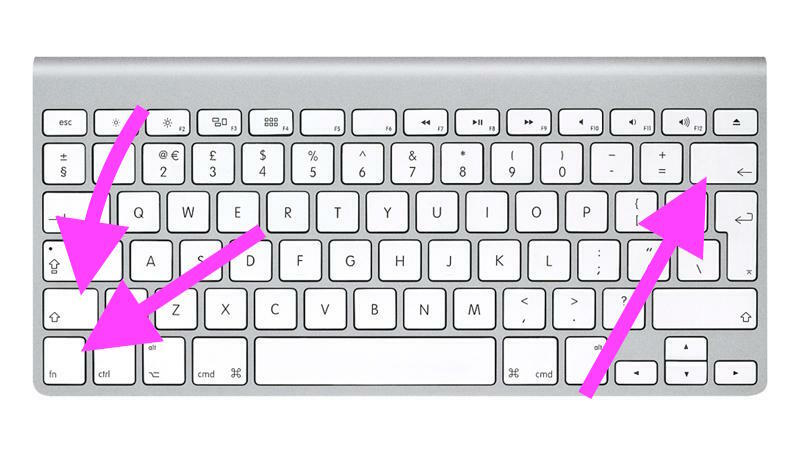 On a Macintosh, type enough text to bring up the autofill entry you would like to remove and use the arrow keys to highlight the entry you would like to delete, then do fn+shift+delete and the entry will be deleted. As others have mentioned, the steps in the top-voted answer don't actually work in many cases. This is because Chrome stores autocomplete information for login-related fields separately, and a bug (which is two years old and shows no sign of being fixed) prevents that class of autocomplete info from being cleared with DELETE (or any other combination of keys plus DELETE). That page will show you every username/password combination Chrome has stored (with the passwords blacked out). You can hover over a particular username/password pair to make an "X" appear on the right. If you click on that X it removes the auto-complete entry. Update as of August 3, 2015, and if you are a windows user (xp, 7, 8, etc) am still not sure about linux, ubuntu and mac osx? In order to remove specific history of entries it can be done by pressing shift + delete when you highlighted that specific entry. Bonus point: You can also do that in Google Chromes urlsearch bar, it means that it is not limited on facebook, gmail, etc email textbox. It is also worth noting that based on raphadco's beneficial comment, shift+delete works only for regular non-password fields, this means that if you saved an account in google chrome then you cannot delete that. I figured it out.. Shift+Delete won't work if you also have a saved password (login+pass fields), you have to delete in chrome://passwords . Shift+delete works well for regular non-password fields though. On Mac you need to cause the autocomplete to be selected and then simultaneously press these three keys on the keyboard. Sometimes pressing these keys will appear to have zero effect whatsoever (1 in 3 times and more likely when trying to remove reddit.com for some reason). However, closing the tab/window and then reopening it will prove that the autocomplete entry is no longer there. Alternatively go to Settings (Advanced), then Autofill settings (under Passwords and forms). In the dialog, select the entry which you'd like to remove. See: How to clear unwanted autofill entries in Google Chrome. It will bring up this screen. Got Advance tab and delete only the autofill data or other catagories as well as you desire. Not the answer you're looking for? Browse other questions tagged google-chrome browser autocomplete forms or ask your own question. How to remove remembered autocomplete items in Firefox and Chrome? 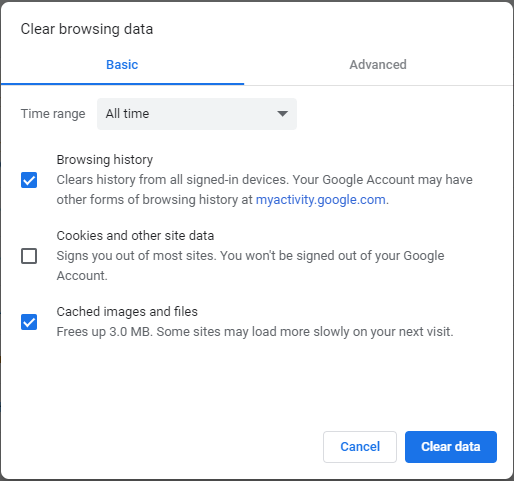 How can I delete a website login in Google Chrome? Has Chrome removed autofill/autocomplete from arbitrary HTML fields in a recent update?